The March 2016 Kits from Hip Kit Club, were revealed on the HKC Blog yesterday! 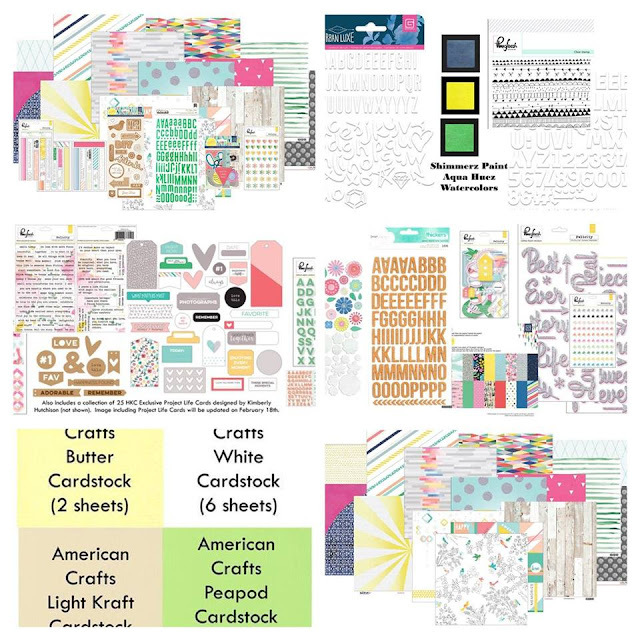 They are so fun, and filled with products from Pinkfresh Studio, Basic Grey, American Crafts, Elle's Studio, Shimmerz and more! You can see all of the Kit images on the Hip Kit website, along with the items included in each Kit. If you're thinking of joining a Kit Club, you won't be disappointed with the monthly Hip Kits. And if you're not looking to subscribe just yet, you can still purchase any of the March Kits from the website!